Born in Shetsk district, Karaganda region. Candidate of Philological Sciences, Docent. Graduated from Baykonurov Zhezkazgan University on the specialty “Kazakh language and literature”. Since 2001 has been working as a teacher in the department of the Kazakh language and culture, Karaganda State Technical University. 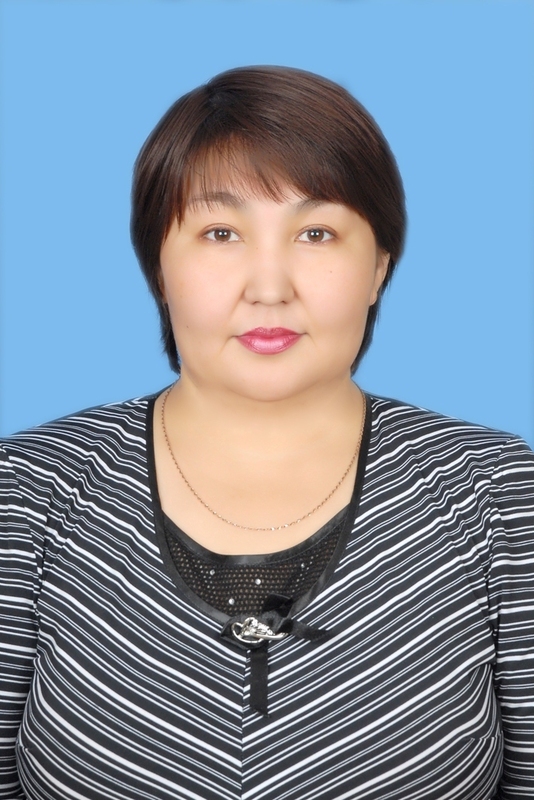 In 2004 defended her candidate dissertation at ASU named after Abay and by the decision of the Higher Attestation Committee of the Ministry of Education and Science of the Republic of Kazakhstan was awarded the degree of Candidate of Philological Sciences. Theme of the candidate dissertation was “Beautiful time and space of Kazakh tales”. In 2007, the decision of the Committee for Supervision and Certification in the Field of Education and Science of Kazakhstan, was awarded the academic title of Docent. 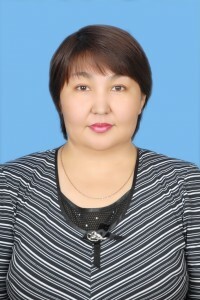 From 2005 to 2008, she headed the Department of Kazakh language and culture. Author of more than 60 scientific articles, 1 monograph, 1 certificate of registration of intellectual property, 6 textbooks, electronic textbooks, slide lectures. Repeatedly, as a result of the work, was encouraged by the thanks of the Administration of Karaganda State Technical University and the Ministry of Education and Science of the Republic of Kazakhstan. Currently – Docent of the Department of Kazakh language and culture in the Karaganda State Technical University.